PMR.africa has completed its 2013 national survey on Accredited Business Schools offering MBA/MBL degrees in South Africa and the results see the Milpark Business School being placed third overall – earning a Silver Arrow Award with a score of 7.84 out of a possible 10.00. 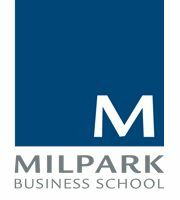 Milpark has consistently been rated in the Top 10 of Accredited Business Schools in South Africa since 2009, with 2012 seeing Milpark achieving fifth overall and a further improvement to third place overall this year. The PMR.africa survey is conducted amongst human resource directors and managers in listed and large companies, national, provincial and local government departments, municipalities and state owned enterprises in South Africa that employ MBA/MBL graduates and students. The ratings are based on the perceptions of the respondents who rate MBA/MBL graduates and students across 19 attributes or criteria, including: application of knowledge in the workplace; entrepreneurial skills/capacity/abilities; innovation and strategic management. For more, go to www.milpark.ac.za.